UBS, under pressure from the German government to clamp down on offshore tax evasion, has given clients from that country 16 months to own up to cheating or leave the bank. Switzerland is the world’s largest offshore banking center, with $2 trillion in assets, and Germany is traditionally Swiss banks’ largest market for offshore accounts. That is changing since the German government, its budgets hit by euro zone austerity, clamped down hard on tax evasion via hidden accounts. UBS chairman Axel Weber said on Friday the bank would only seek long-term relationships with clients who pay taxes on their offshore funds. He did not say what the bank would do with those who chose not to. “Our expectation is that all clients in Germany will be able to show they are tax compliant by the end of next year,” Weber told German daily Boersen-Zeitung in an interview on Friday. Late last year German lawmakers abandoned a planned tax amnesty, but many tax evaders have come forward to the authorities anyway, in large part out of fear of the alternative: being caught by German tax investigators who are buying leaked data on Swiss bank clients from informants. An unknown number still hold Swiss accounts. Credit Suisse said in April it would terminate business relations with German clients by the end of this year if they refused to resolve outstanding tax issues. The bank also paid 150 million euros ($200.18 million) in 2011 to end an investigation of its employees in Duesseldorf over allegations that they helped citizens dodge taxes. Julius Baer struck a similar deal, while UBS has yet to do the same. 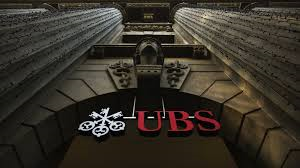 Weber’s comments come a month after German prosecutors searched 10 of UBS’ offices as part of an investigation launched last year after the German state of North Rhine-Westphalia bought data revealing Swiss bank clients. Separately, prosecutors are investigating employees of Credit Suisse and its units Clariden Leu and Neue Aargauer Bank on suspicion of helping Germans evade taxes.